Idris Elba Wanted as the Next James Bond? After Sony Pictures canceled the release of their comedy The Interview, the hacker group G.O.P. seemed to indicate that the copious leaks of Sony emails and documents would stop, if they never release the movie. 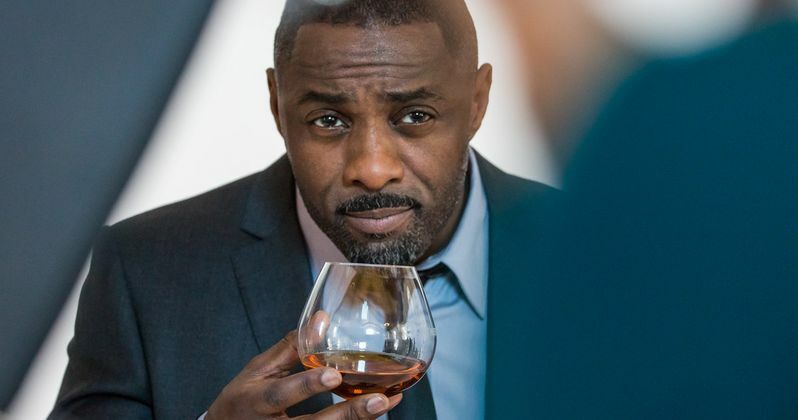 However, since there were so many leaks from the studio, more news has surfaced, with The Daily Beast uncovering an email from Sony's Amy Pascal, where she states that Idris Elba should be the next actor to play James Bond. The January 4, 2014 email was between Amy Pascal and Elizabeth Cantillon, a former executive for Columbia Pictures, which distributes the 007 movies, although no further details were released. Idris Elba himself revealed during a Reddit AMA that he would "absolutely" play James Bond, if he was ever offered the role, but this is the first we're hearing about Sony executives expressing their interest in the actor. The current 007, Daniel Craig, is currently under contract for one more Bond movie after Spectre, which started shooting earlier this month and is set for release in November 2015. It isn't known if the actor will sign on for more James Bond movies after his contract is up, but he revealed in a 2012 Rolling Stone interview that he has been, "trying to get out of this from the very moment I got into it." However, that interview was conducted before Skyfall became the biggest Bond movie of all time, taking in over $1.1 billion worldwide. Since it's been nearly one year since that email was sent, it's also possible that the studio is eyeing other actors for the coveted 007 role, if Daniel Craig doesn't extend his contract. When Spectre hits theaters next year, it will be his fourth time portraying the secret agent, following Casino Royale (2006), Quantum of Solace (2008) and Skyfall (2012). Do you think Idris Elba should be the next James Bond? Chime in with your thoughts below.